The University of Texas at Tyler is a unique experience for all of our students. We have the advantage of being part of one of the ﬁnest university systems in the world. We have a wealth of experience in online education. As faculty prepare their courses, they incorporate video modules into the courses so that the online students have the opportunity to see leading experts explain the subject matter. Through various technologies that are available, through wikis, blogs, chats and discussion lines, students are constantly engaged. The innovations, the quality of online learning, it's an extremely engaging approach to learning. The thing that students should be most interested about in this degree program is the long-term career opportunities it will provide for them. It's for the student who's out working, who has got some experience behind them, who wants to further their technical knowledge in what they're doing. It's designed for professionals working full-time seeking career advancement. What we're trying to do is provide a high quality educational experience designed speciﬁcally for working adults who have demands on their time. Not having the master's degree is preventing them from advancing. This is designed to provide them the skills to be primarily a manager in a corporate setting. The skill sets we provide will allow people in their chosen part of the industry to advance signiﬁcantly faster than their peers, with rapid completion of one year or less. It's the development of the student that we're really looking for, in his or her chosen career, and helping them advance in that career. The average professor has 10+ years of experience with a business study curriculum relative to their program. 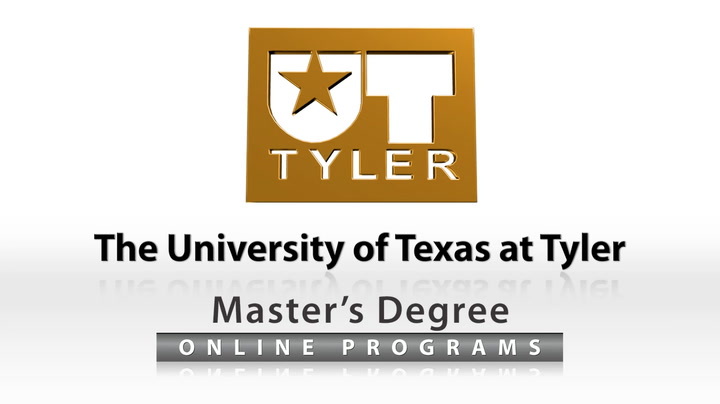 UT Tyler reﬂects what we believe is the "Best of the University of Texas System".